This dramatic history has become the most authoritative guide to the World Cup. 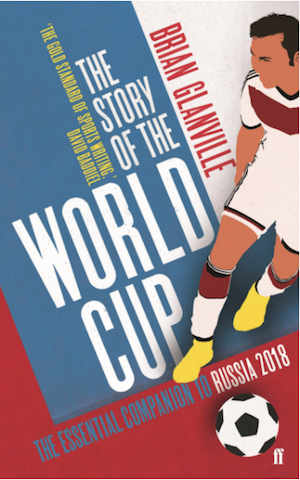 Brian Glanville’s classic, bestselling account is a vivid celebration of the great players and legendary matches in the competition from Uruguay in 1930 to Brazil in 2014 – as well as a bold attack on those who have mismanaged the game. Fully revised and updated in anticipation of this summer's tournament, this is the definitive book on the World Cup for football fans and novices alike. With a cover price of £15.99, WSC readers can save £1, or £2 if they're a subscriber.